As use of the PCT and the backcountry areas through which it passes increases, all of us must be especially mindful of even the smallest effects you may have on the land and on the experiences of those around you. One example of what some may consider a negligible impact is the biodegradable food waste people might leave behind to decompose. One person’s food waste left to biodegrade is a significant eyesore for the next person coming up the trail, not to mention what’s at stake for the natural environment. Certainly, human waste (which we’ve covered [pun intended] in multiple articles) is ultimately much more harmful to the environment in the long run if not disposed of properly. A rotting banana peel. Photo by Zoe (CC BY 2.0). Stating the obvious, most of the PCT does not pass through apple orchards, orange groves, or banana plantations, yet the leftovers of these fine trail foods are left behind as if they are not trash. They are. This is not unique to the PCT, we’re sure we’ve all seen it. 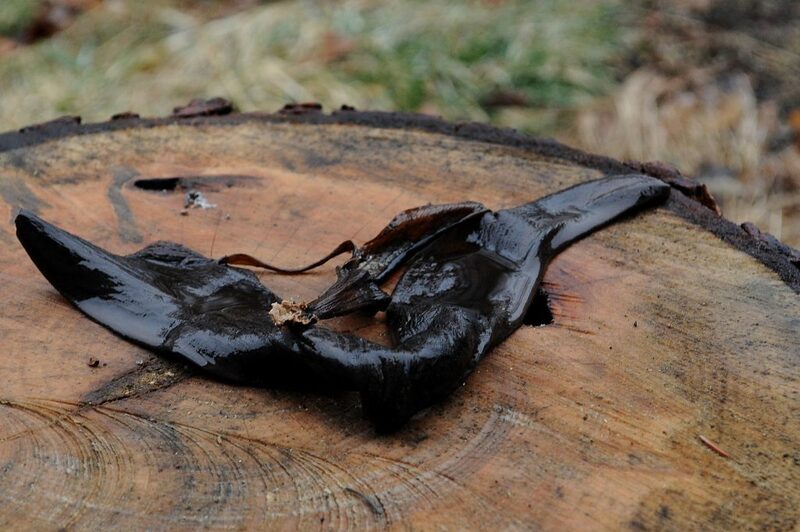 In fact, during our research into how long it takes things to biodegrade, we came across an article similar to this one from a fellow hiker from Scotland, where many of the mountains, or Bens as they call them there, are strewn with banana peels. In Scotland, the most common bio-degradable items found along the trail include apple cores, which can take up to 8 weeks to decompose, and orange peels and banana skins, both of which can take up to two years! Much of the PCT passes through much drier climate than exists in Scotland, so it probably takes even longer for food wastes to decompose in the deserts of Southern California or in the high elevations of the High Sierra. While it is certainly a bonus to have some fresh produce while out on the trail, please be prepared to pack out orange peels and banana peels and other food wastes. When it comes to apples, one of our staff members has long been eating the entire apple and is left with just a few seeds to stick in his pocket or in his trash bag. ‘Pack it in, pack it out’ is one of the original tenets of backcountry travel. And, it’s a fairly simple one. Leave No Trace means just that. With the PCT’s increased popularity, we all have a responsibility to the next person and to be good stewards of the land. If you packed it in please remember to pack it out. The PCT and your fellow trail users thank you!